Returning to work from an illness or injury can be daunting. After a significant period away from your colleagues or duties, it’s completely normal to feel anxious. Common reservations such as the possibility of an overloaded inbox or details of your personal life being discussed, would make anyone uncomfortable. Do not fear the worst though. We are here to explain what you should expect from your return to work meeting. What is a Return to Work Meeting? A return to work meeting is undertaken primarily to welcome you back to work and ensure you are in a comfortable state of physical and mental health. During the meeting you will be asked to discuss your current condition and why your illness or injury has prevented you from working. The meeting is an opportunity for you to bring attention to any workplace or external problems that may have directly caused or aided the reason for your absence. Your employer should then attempt to address the issues or give you an explanation as to why certain policies cannot be changed. You should be vocal, explaining what adjustments you would like to see concerning the work environment, rota or your particular duties in order to minimise absences. Back pain is a common reason people are absent, which can be avoided if adequate assessments have taken place and employers are adaptable, catering for workers with any physical complications. Going the extra mile to promote general wellbeing traits such as healthy eating, cycling to work, colleague sports teams and a strong employee support network will greatly benefit the health of both the employee and the company. 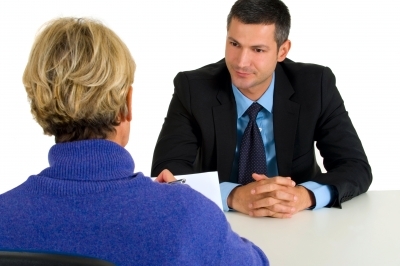 In most cases, the interviewer will take a caring and thoughtful approach to the interview and refrain from being interrogating or dismissive. Any previous absences or conflicting explanations will be discussed and the effect the absence has on colleagues will also be highlighted. You may be given a warning that continued avoidable absences will not be tolerated but this should not put you off attending the meeting. The overall tone will not be confrontational. The meeting is a sign your employer values your work, wants you to stay with the company and would just like to identify underlying problems or issues so you are able to enjoy the best possible working environment. Make sure you get a good night’s rest, aim to leave yourself with plenty of time to get ready beforehand and read over a return to work plan if you are given one. Any tangible correspondence you have had with your GP and employer should be thoroughly revised and you should prepare some questions before entering the meeting. Above all, remember the meeting has been arranged to help you! If you’re an employer and you’re interested in improving the process of return to work interviews at your organisation please contact Fit4Work to learn more.